Kevin Costner starred as "Crash" Davis in the 1988 hit comedy sports film Bull Durham. 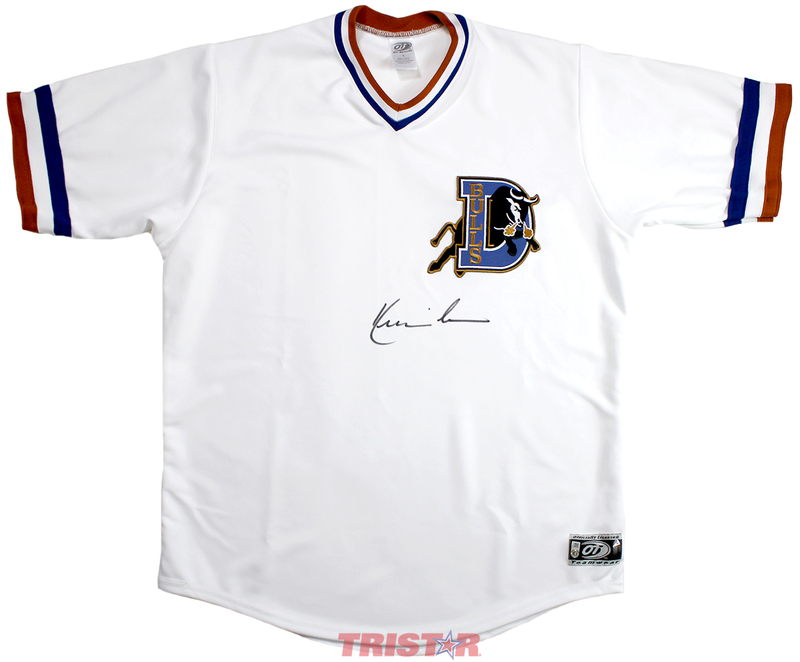 This Bull Durham jersey has been hand signed by Kevin Costner. Each autograph is guaranteed authentic, and includes an individually numbered TRISTAR Authentic hologram.